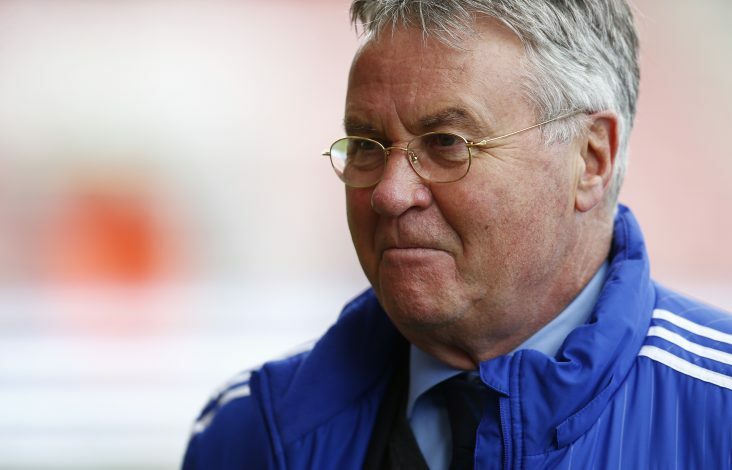 Former Chelsea boss Guus Hiddink is now on Leicester City’s shortlist to replace Claudio Ranieri, according to a report from the Telegraph. The 70-year-old Dutchman boss is believed to have been identified as a perfect candidate to take over from the departed Italian considering the impact he managed to show in a same situation at Chelsea last year. Hiddink was appointed as interim manager when Jose Mourinho was fired only four months after winning the English Premier League, while Ranieri’s reign after the historic title win lasted nine months. Interestingly, the ex-Blues manager rejected an offer from the Foxes before Ranieri replaced Nigel Pearson in 2015, but is said to be uncertain if he wants the job now. Leicester owners want Hiddink, who led Australia to the 2006 World Cup Round of 16, to manage the team until the end of this season before taking a final call on their next managerial move. The veteran Dutch tactician’s experience in the Champions League is also seen an important aspect as Leicester have a crucial last-16 second leg fixture against Sevilla at home. The same report from The Telegraph also suggests that Leicester held talks with Portuguese coach Vitor Pereira, who is at 1860 Munich. However, Leicester’s star players have been asked if they wish Nigel Pearson to return to the King Power, according to The Sun. Pearson was sacked after saving the club from relegation in the 2014-15 season, with Leicester stating “fundamental differences in perspective exist between us” as the reason. Roberto Mancini initially emerged as a strong favorite to take charge, but according to Sky sources, he isn’t that much interested on the job. The bookmakers’ next favourite appears to be Alan Pardew, while Roy Hodgson, Frank de Boer and Huddersfield boss David Wagner are other potential candidates. But for the time being, caretaker boss Craig Shakespeare will manage Leicester for their Premier League game against Liverpool on Tuesday.